Brad Wieck and Casey Dynan scored two goals in the third period to open up a tie game as the Gustavus men's hockey team defeated St. Thomas 3-1 in a MIAC semifinal contest on Saturday in St. Peter. The win marks the first time since the 1996-97 season that the Gusties recorded three wins over the Tommies. Gustavus, which improved to 16-10-0 overall, will host Hamline in the MIAC Championship game on Wednesday, March 4 at 8 p.m. St. Thomas finished the season at 12-11-3 overall. The Gustavus women's hockey team took one step closer to its goal of winning its fifth straight MIAC Playoff Championship by defeating St. Olaf 5-0 in a MIAC Playoff Semifinal game on Saturday afternoon at Don Roberts Ice Rink in St. Peter. The Gusties, who posted their sixth consecutive shutout, have not allowed a goal in 382 minutes and 40 seconds dating back to the third period of the St. Kate's game on Feb. 7. Mari Gunderson and Allie Schwab both scored twice to lead the Gusties. The Gustavus men's tennis team posted a pair of 8-1 wins over UW-Eau Claire and Hamline on Saturday afternoon at the Owatonna Tennis and Fitness Club in Owatonna, Minn. The Gusties led 2-1 after doubles play in each match, but went on to win all six singles points as they improved to 7-3 overall and 2-0 in MIAC competition. The Gustavus women's tennis team put up a good fight, but could not overcome #3 seed Mary Washington losing 8-1 in a quarterfinal match at the ITA Division III Women's Indoor Championship. The Gusties, who are hosting the eight-team tournament at the Swanson Tennis Center, will now face DePauw University in a consolation match at 8:30 am on Saturday morning. The Gustavus women's indoor track and field team won each of the six field events at the Pre-MIAC Meet hosted by Macalester College on Friday in St. Paul. Janey Helland highlighted the day for the Gusties as she broke her own school record in the long jump with a NCAA provisional qualifying distance of 18' 1.5". No team scores were kept at the six-team meet, which included Bethel, Carleton, Concordia, Hamline, Gustavus, and host Macalester. The Gustavus men's indoor track and field team turned in a solid performance at the Pre-MIAC Meet hosted by Macalester College on Friday in St. Paul. No team scores were kept at the six-team meet, which included Bethel, Carleton, Concordia, Hamline, Gustavus, and host Macalester. The competition was the final meet before the MIAC Indoor Track and Field Championships hosted by Concordia College next weekend in Moorhead, Minn. In the last dual meet of the season, the Gustavus women's gymnastics team defeated UW-Eau Claire 178.225 to 175.725 on Friday night in Eau Claire, Wis. The Gusties trailed by 0.3 points after vault and balance beam, but outscored the Blugolds by more than one point on balance beam and floor exercise to come away with the win. Seniors Laura Hansen and Christine Askham won event titles on the balance beam and the floor exercise, respectively, while sharing the uneven bars title. 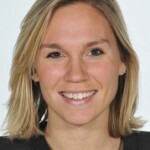 Four members of the Gustavus women's hockey team were named to the All-Conference Team by the league coaches on Thursday. The group includes senior forward Jessie Doig, junior forward Melissa Mackley, and sophomore defenders Sara Yungner, and Kirstin Peterson. The Gusties, who are currently ranked #1 in the USCHO.com poll, won their fifth consecutive league title with a record of 16-0-2. Gustavus Adolphus College is set to host the inaugural Intercollegiate Tennis Association (ITA) National Division III Women's Indoor Championship at the Swanson Tennis Center in St. Peter, Minnesota this Friday, Saturday, and Sunday. 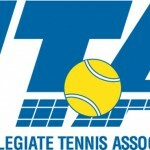 Eight of the top teams in Division III tennis will compete to determine the 2009 ITA Division III National Indoor Champion. The St. Thomas defensive pressure proved to be too much for the Gustavus men's basketball team as the Gusties saw their season coming to an end after a disappointing 90-50 loss in the MIAC semifinals on Wednesday in St. Paul. Gustavus was unable to generate an offensive rhythm as it committed 21 turnovers resulting in 34 Tommie points. Robert Schmidt was the only Gustie to reach double-figures with 13 points as four other players chipped in six points each.